The 2nd GLOBIS Cup World Go U-20 was held from 8 to 10 May 2015 at the GLOBIS University in Tokyo. Top 16 players with U-20 were selected to play for the Cup from Japan, China, Korea, Chinese Taipei, Europe, North America and Asia-Oceania. 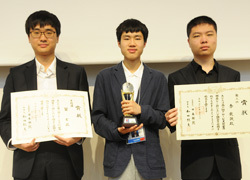 At the final game, Huang Yunsong 4p from China won the 2nd GLOBIS Cup, defeating Na Hyun 6p from Korea by resignation. The third-place match was also held concurrently with the final and Li Qincheng 2p from China gets the third place. No player from Japan advanced to the semi-final. The defending champion, Ichiriki Ryo 7p, could not advance to the quarterfinal while two Kansai Ki-in pros, Yo Seiki 7p and Sada Atsushi 2p, advanced to the quarterfinal. However, Yo Seiki was beaten by Lee Donghun 5p (Korea) and Sada was beaten by Li Qincheng at the quarterfinal. The third edition of the GLOBIS Cup will be also held in 2016 in Japan. The Nihon Ki-in will organise the Summer Go Camp 2015 for overseas go players from 21 Aug to 3 Sep 2015. 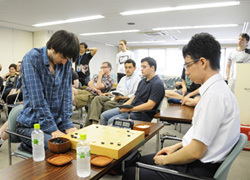 In 2014, Ichiriki Ryo 7p played against the winner of Summer Go Camp. 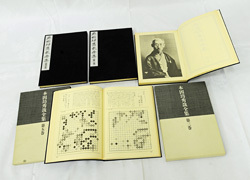 In addition, this year the prize of the league tournament should be very rare and valuable: Complete Game Collection of Honinbo Shusai (*21st and last hereditary head of the Honinbo house) which is out of print. 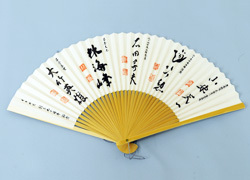 The game collection includes Honinbo Shuei (Meijin), Karigane Junichi and Go Seigen. A special auction may be held in the Camp.